For those of you who want to join our awesome organization, we welcome you and hope you will become a member of our FBLA family. Future Business Leaders of America is the largest student organization in the world with Georgia having the largest state chapter in the nation. Our local chapter started 4 years ago. Our members have completed many service projects here at BMS, participated in numerous community service projects, competed in region and state competitions, and traveled all over the state of Georgia learning more about business, leadership, and service. We hope that you will join us as we continue this tradition of excellence. If you have any further questions about our organization, please do not hesitate to e-mail me. I look forward to working with your child through this great organization in the future! Dues are $20 per member along with an additional cost for conference fees. 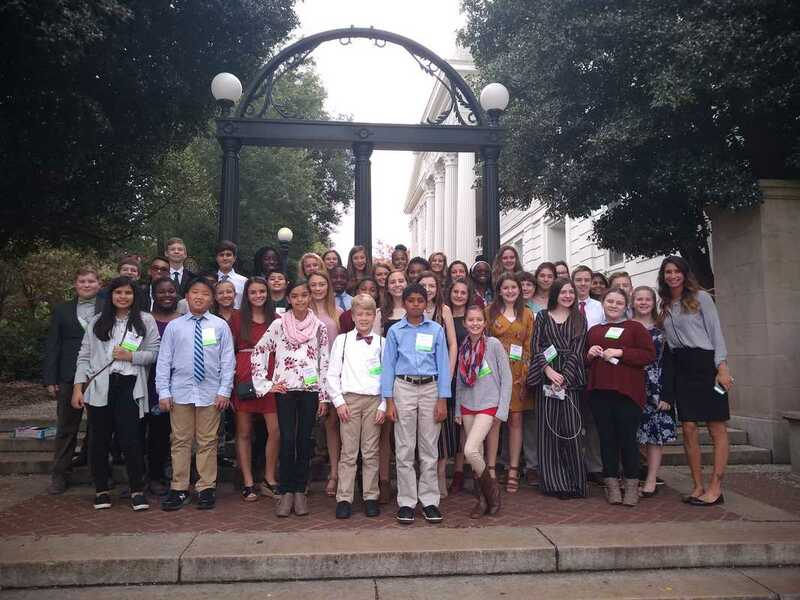 Our Club recently visited the Classic Center in Athens, GA where the students got to participate in breakout sessions where they worked on Leadership Development. We are currently Collecting items for an Adopt a Family Project that helps a mom and her kids get back on their feet after they have suffered through Domestic Violence. You can sign up to bring an item in on the link below. All Items are due December 14th.